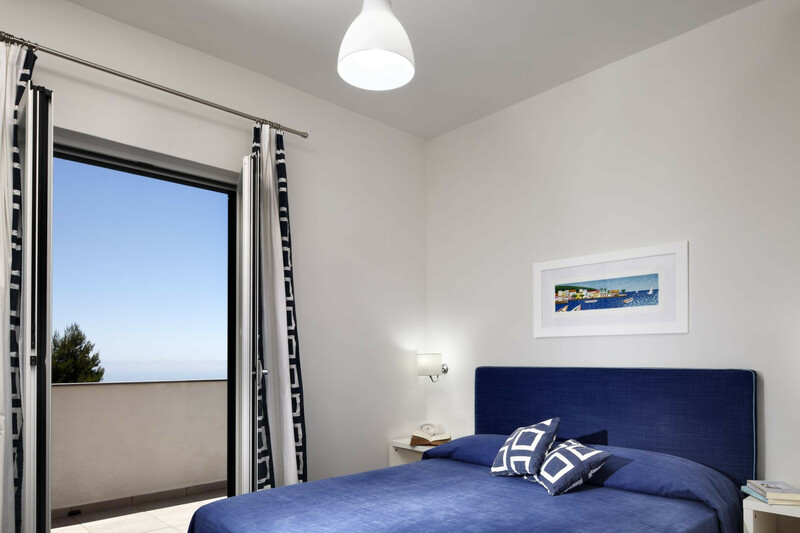 ‘Aida’ is the seventh apartment within La Capanelle, an elegant development on the picturesque hills overlooking the Gulf of Naples and the Gulf of Salerno. On arrival, you will find your parking area, reserved exclusively for guests and protected by an electric gate. 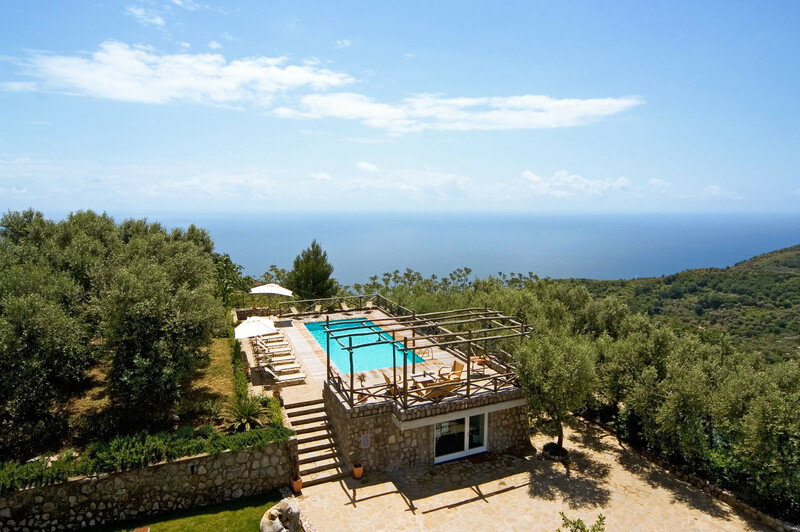 Before you, the green slopes of the Mediterranean maquis stretch in all directions, alongside the organic lemon and olive groves tended to by the owners. 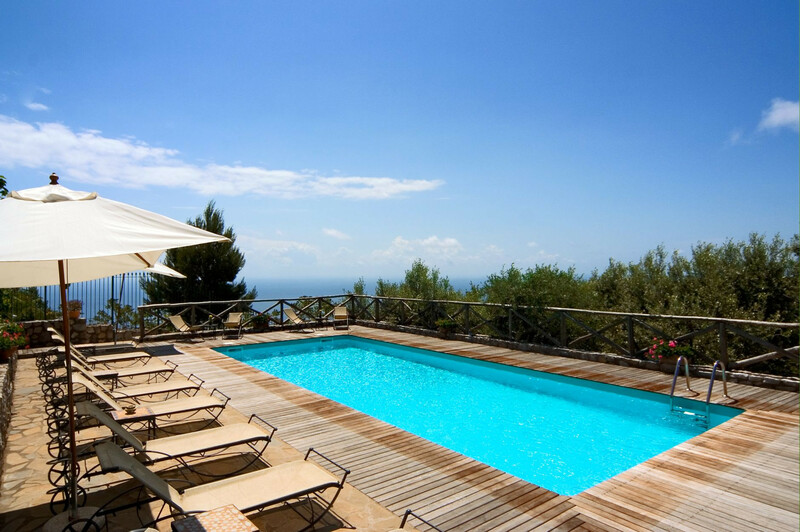 Le Capannelle sits high on one of the natural terraces typical of the Amalfi Coast, guaranteeing wonderful views. 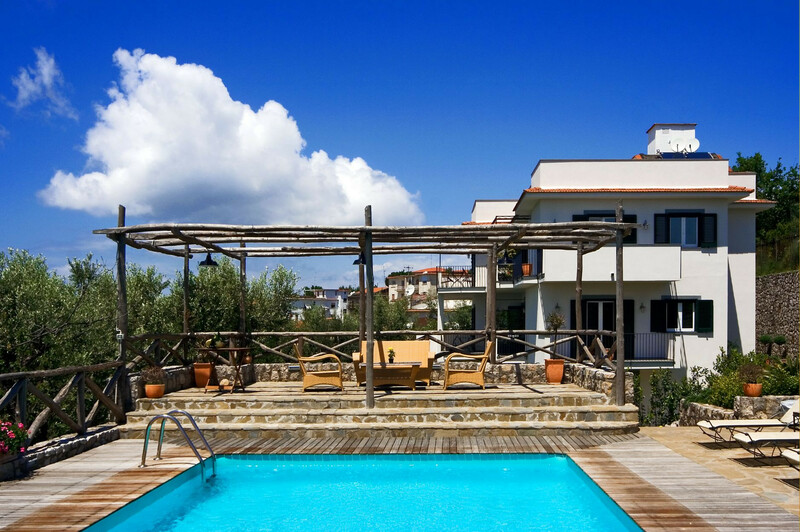 The well-kept shared gardens boast a wonderful 10m x 5m swimming pool (open from 14th April to 31st October), surrounded by a solarium terrace. 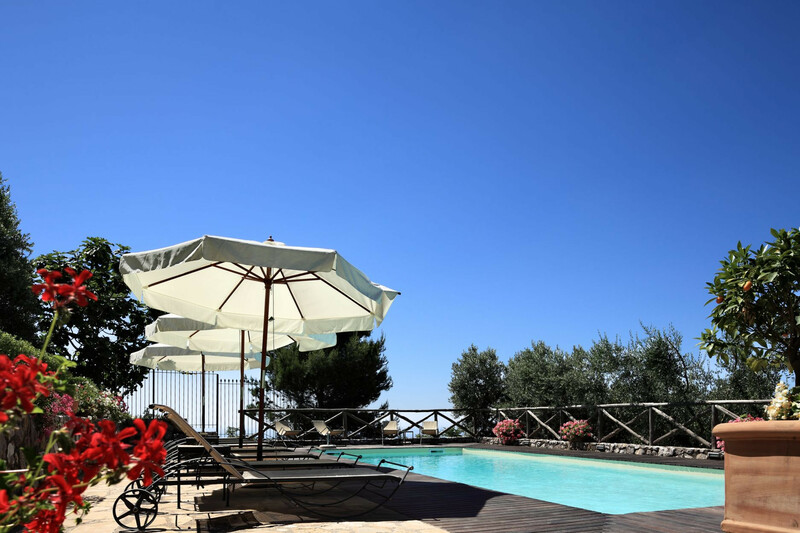 Beautiful potted plants rest alongside ample sun loungers and parasols, giving the ideal place to soak up the sunshine, whilst enjoying the panoramic views from the Amalfi Coast to the Gulf of Salerno. 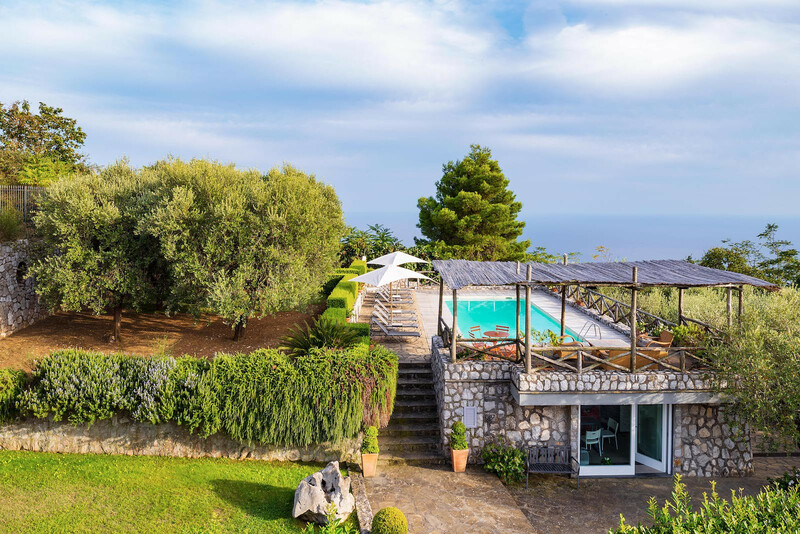 On an adjacent raised terrace, you can relax on the comfortable wicker sofas beneath the shade of a pergola, whilst savouring the unforgettable sunsets over the blue seas of the Bay of Nerano. 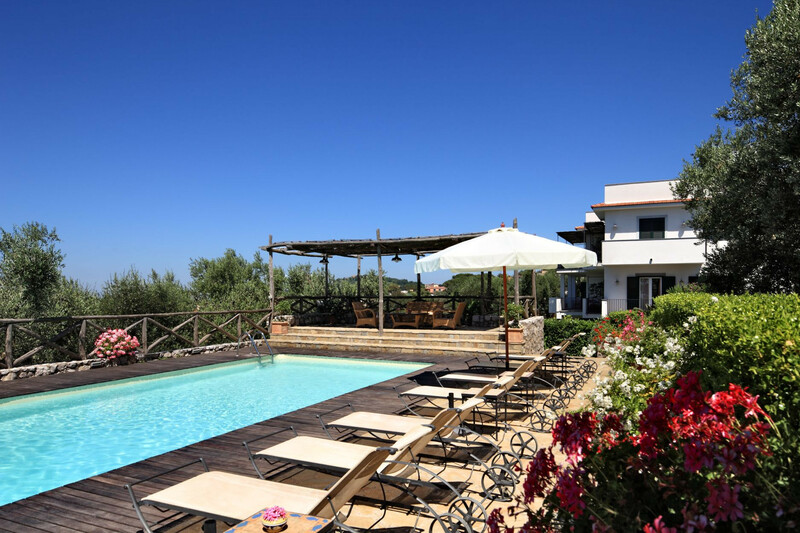 On hot summer days, the small wood and olive grove offer an ideal retreat when you wish to cool down. 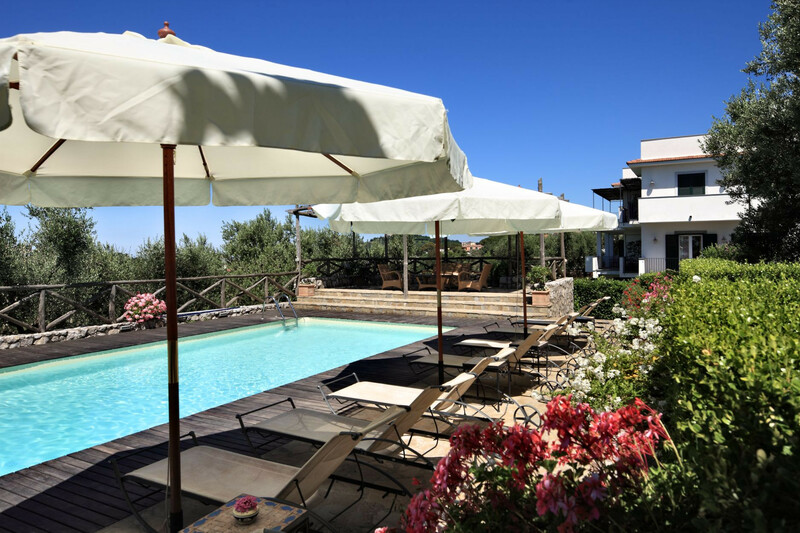 Le Capannelle is within easy walking distance of good restaurants and grocery stores in the charming town of Sant'Agata sui Due Golfi. 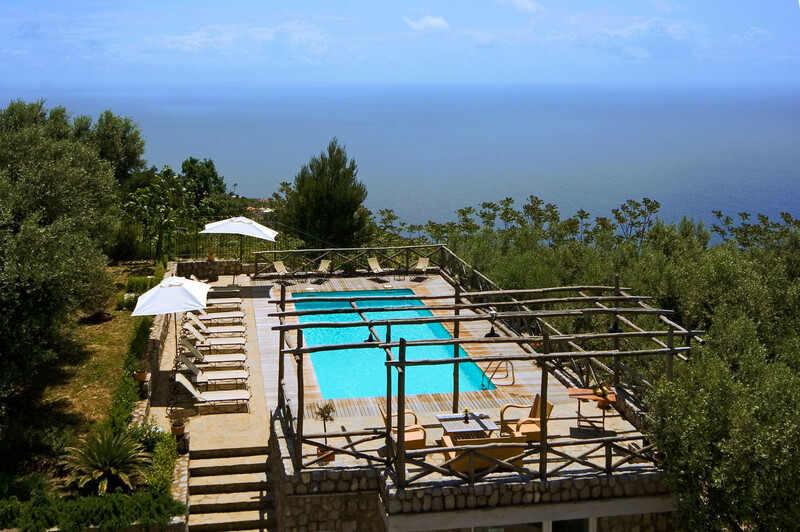 From there it is a short drive, or bus ride, to the many attractions of Sorrento, and beyond on the Amalfi Coast. 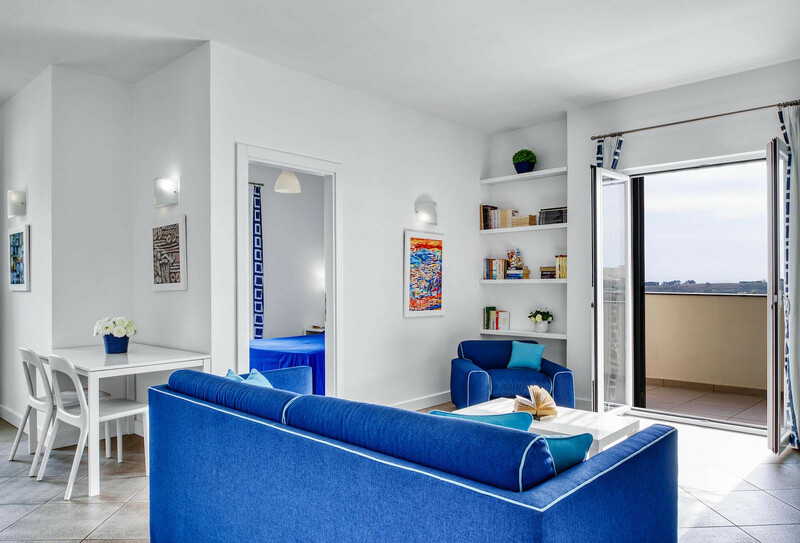 ‘Aida’ is a stylish apartment for four people, measuring 45m2. 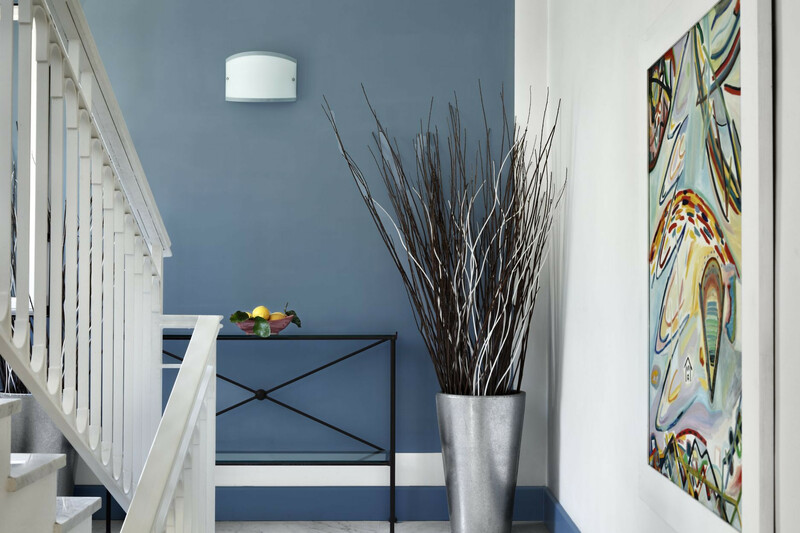 It is on the second (top) floor of this exclusive development, and is reached from the main entrance via the elegant lobby and staircase. In addition to the shared pool, terrace and gardens, ‘Aida’ also benefits from a balcony, accessed from the living area. Equipped with table and chairs, it is perfect for enjoying breakfast or a quiet drink, or simply admiring the view. 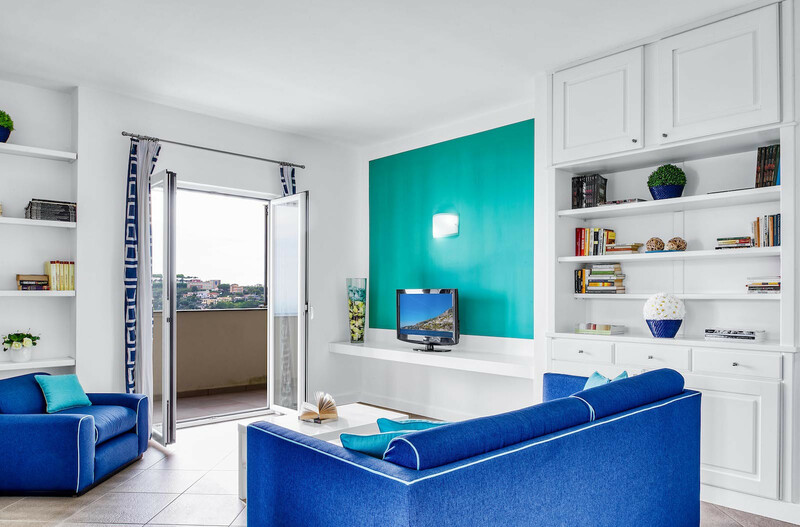 The apartment has both air conditioning and heating throughout, to ensure your comfort whatever the time of year. There is an internet WiFi connection. In the open-plan living area, there is a double sofa bed, two armchairs and satellite television. 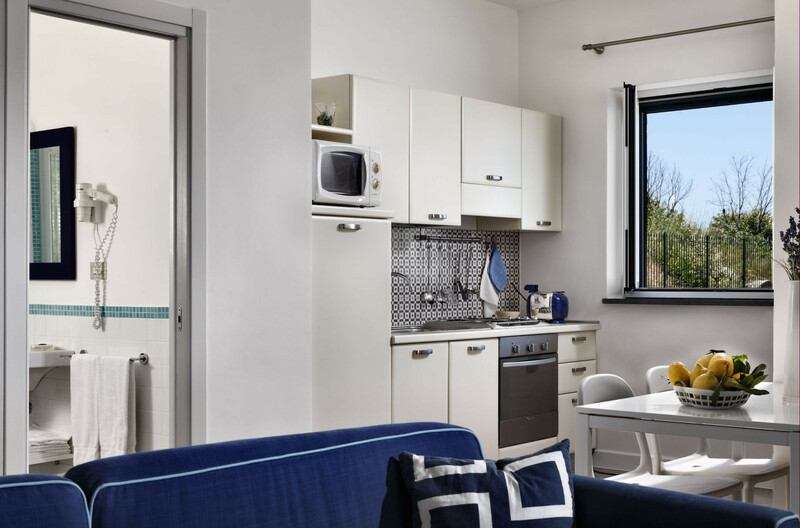 The modern kitchenette is well-equipped with a dishwasher, four electric rings, an oven, a fridge-freezer, microwave, toaster and Italian coffee maker. 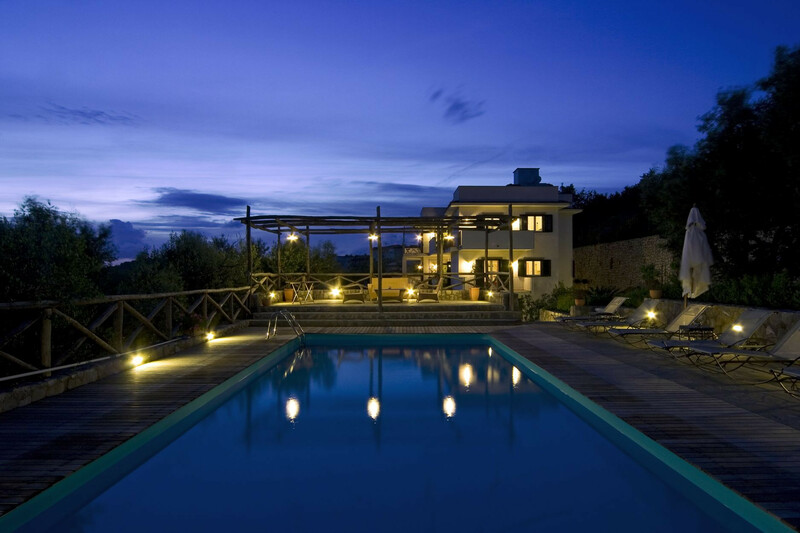 There is a dining table for four and a large window, giving beautiful views of the lemon groves around the apartment. The double bedroom is simply and tastefully furnished, with a double bed and wardrobe, and a lovely view. There is access to the balcony via French doors. 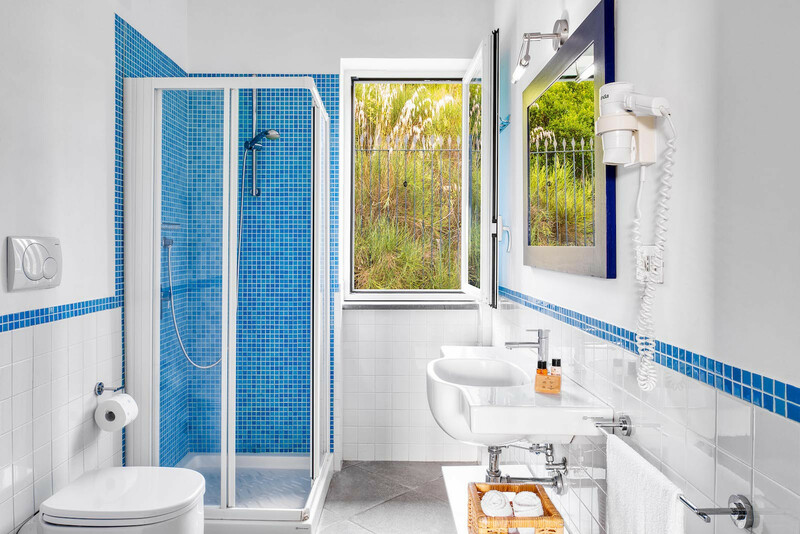 The bathroom is situated off the corridor and is bright and modern, with washbasin, toilet, bidet, hairdryer and a spacious enclosed shower. All guests are welcome to use the communal laundry room on the first floor, where you will find two washing machines, iron and ironing board. 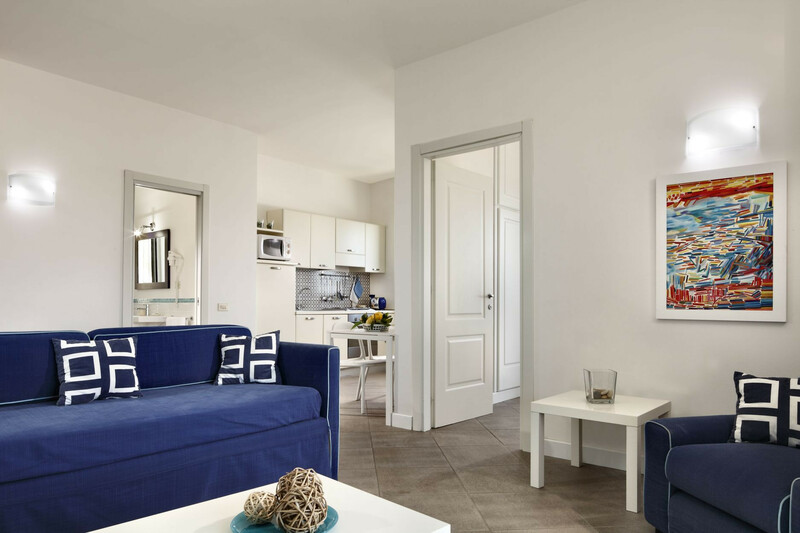 ‘Aida’ within La Capanelle offers the ideal apartment for a relaxing holiday on the Amalfi Coast, whether you intend to relax in the local area, or explore further afield. 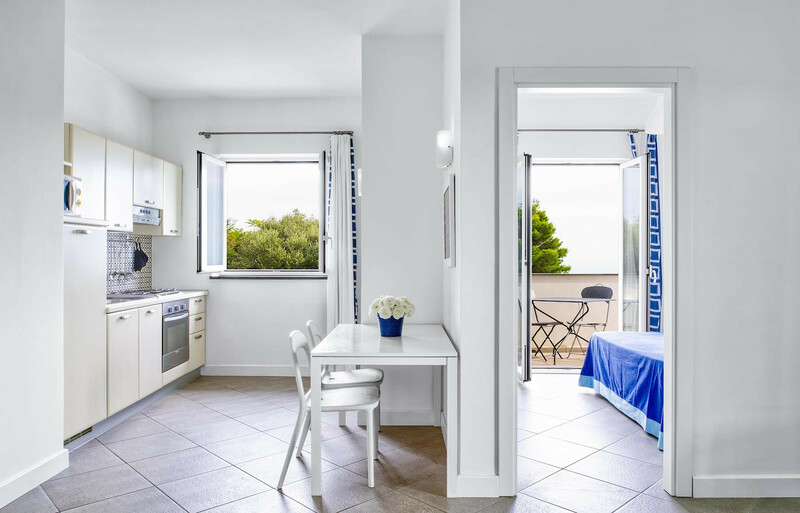 1 TV, TV Satellite (Languages: Spanish, English, French), 2nd floor, garden, 15 m² terrace, iron, internet (Wi-Fi), hair dryer, balcony, 45 m² property, 15 m² plot, air conditioning (hot/cold), air-conditioned, communal swimming pool ( max depth 3.9 ft, min depth 3.9 ft, opening date 1/4, closing date 1/11), Open-air parking in the same building. Beautiful location, Amazing View, Lovely Apartment. Loved our holiday, definite must for anyone to visit. Apartment was lovely and comfortable, much better than staying in a hotel. Great area, easy to get around, people very friendly and helpful. Short 10 min walk into town, where there were nice places to eat and drink, good restaurants with good food. Apartment was lovely and comfortable, much better than staying in a hotel. Great area, easy to get around, people very friendly and helpful. Short 10 min walk into town, where there were nice places to eat and drink, good restaurants with good food. Close to bus stop for frequent buses for sight seeing. Loved it, definite must. the only disappointment for us was that on the hottest day of the week, we were unable to use the pool, we were told it would only be one afternoon out of use, but it turned into a day and a half, had we of known it was going to be longer, we would have done the sightseeing on that day, rather than choosing to stay by the pool.